Dogs are welcome at Eden. They must be kept on a lead at all times and are not permitted in most indoor areas, including the Biomes (with the exception of guide or assistance dogs). A limited number of shaded car parking spaces are also available. A stunning visitor attraction with must-see Biomes and dramatic outdoor landscaping. 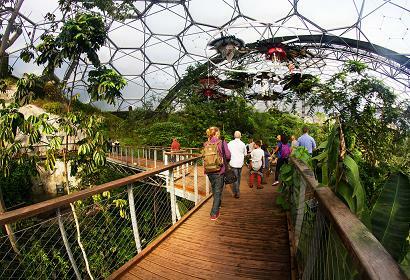 Described as the eighth wonder of the world, the Eden Project is a dramatic global garden. 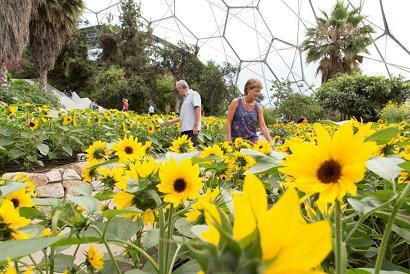 A crater the size of 30 football pitches - once a disused china clay pit - has been transformed into the world's largest greenhouse and an extensive outdoor landscape, with more than a million plants from all around the globe. One of its giant Biomes houses the biggest rainforest in captivity, complete with water features including a cascading waterfall. The other is host to the fruits of the Mediterranean and the flowers of South Africa and California. In the Outdoor Gardens you will find tea, lavender, sunflowers and hemp. Eden is also a place to explore our connection with each other and the living world - from cocoa and coffee to bananas and rubber, from perfume and wine to medicine and construction, and so much more. With art, sculpture, stories, exhibits and exciting events, as well as fabulous themed programs in the school holidays, it's one of the truly must-see places in Britain, if not the world. This is a fascinating place to visit at any time of the year, perhaps especially over the winter months when it is less busy. 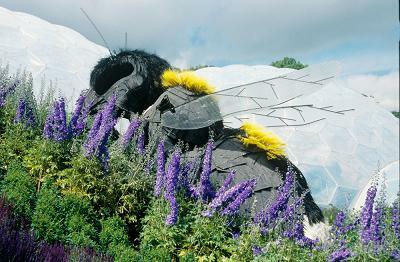 Latest details of opening hours and the programme of events are on the website, www.edenproject.com. You might also want to check out other gardens in the area. 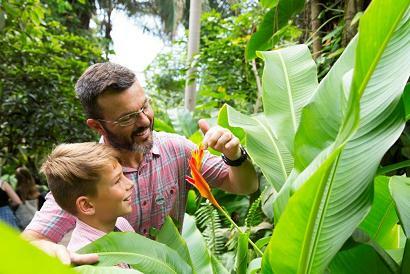 Opening times 2019-Come and enjoy each season at the Eden Project, open year round - see website for the most up to date details. Disabled access, Dogs welcome (see above), Restaurant and cafe outlets (serving refreshments), Shop, Picnic areas.